Every now and then I get offers from various companies to check out samples of their latest products, which is a fun way of having a range of ‘things’ to make a project with and then share on this blog. The only problem with accepting a lot of these requests is the risk of my blog becoming 90% reviews! 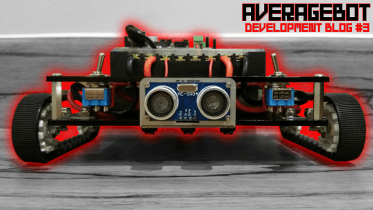 I started this site to share my ‘average’ experiences and projects with the Pi – so I try to keep it mostly along that theme. A couple of months back I had an idea that would be good for everyone, even my readers. I decided that if I did write any review/product posts, I would aim to give away that product to a randomly selected subscriber of my blog. Funnily enough – today is another give away day! A couple of weeks ago an email came in from fellow Kickstarter creator Tom Murray from Smarticase.com. Following his successful campaign to fund his SmartiPi Raspberry Pi case Kickstarter project, he wrote to me asking if he could send me some cases to give away to help promote the launch. So, let’s have a look at the SmartiPi. I’ll show you what it’s all about, how I used mine, and then in a week or so we’ll select a couple of winners to receive their very own SmartiPi! 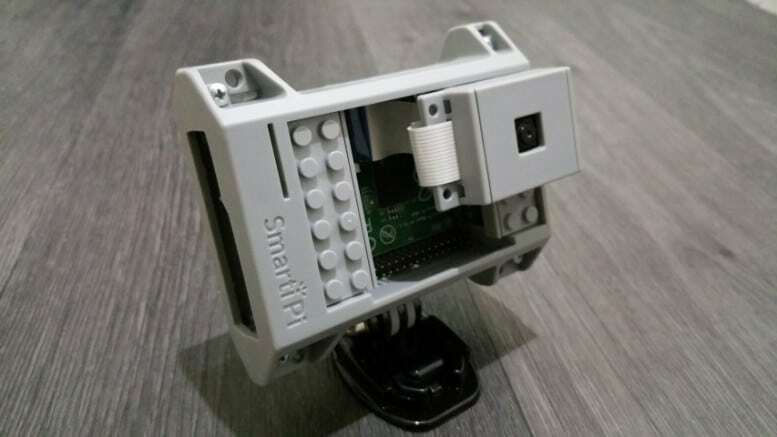 The SmartiPi is a new case for the Raspberry Pi that found a little hole in the huge Raspberry Pi Case market – Lego compatibility with GoPro mounting options. How’s that for a niche?! 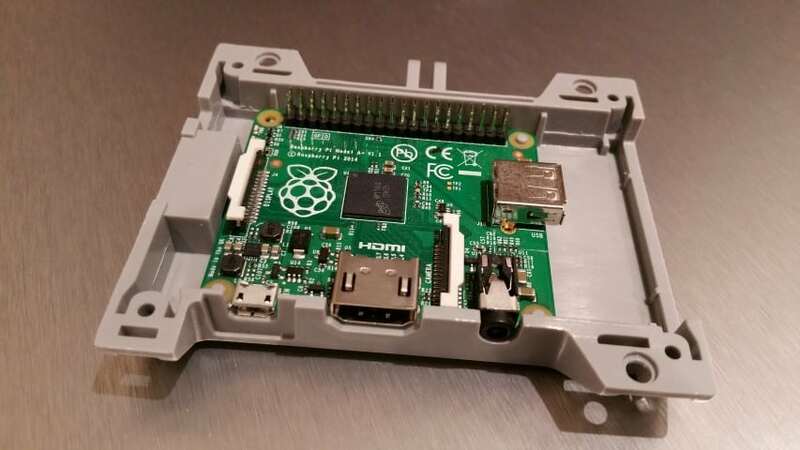 At first I thought that sounded like a bit of an odd combination, but it simply gives you a fun way to build around your Raspberry Pi, with a popular mounting system for use in all sorts of scenarios. There are loads of GoPro compatible mounts out there to choose from! 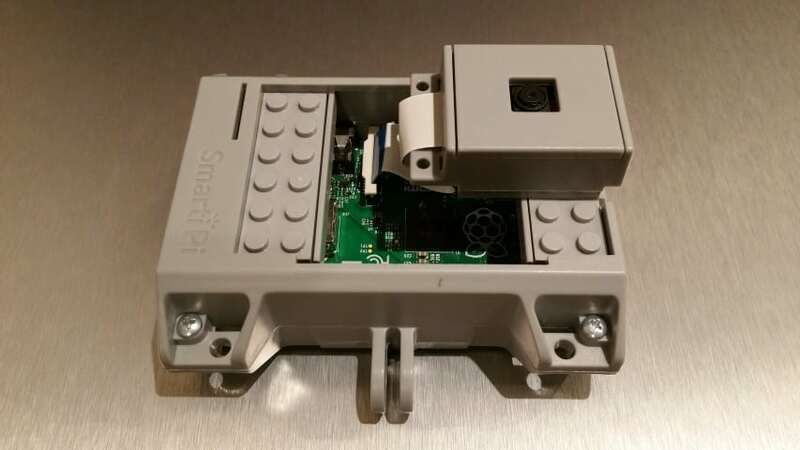 I removed the centre plate to show a bit of the Pi on the inside, and mounted the camera block sideways – just to be different! So it’s for kids then? That’s what I first thought when I started to notice the SmartiPi coming up on Kickstarter. I saw Lego mentioned and instantly thought “that’s not for me”, leaving it for the mums and dads to back for their creative children. Besides, my 1 year old just eats Lego anyway! Screw holes and zip tie slots – for the DIY’ers amongst you, even more mounting options. So what’s the big deal about GoPro compatibility? 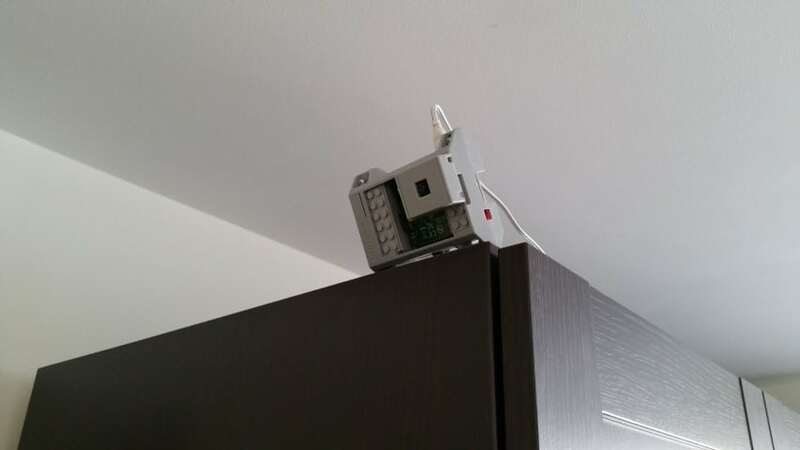 When I received the delivery from Tom I had an idea around setting up a Raspberry Pi in the case as an IP camera, using the sticky mount to fit it on top of the wardrobe in my baby’s room. I had a spare A+ Raspberry Pi, so I figured it was good solution to replace my existing IP camera that has a poor resolution. As Tom sent me the ‘#3’ kits that came with the camera box attachment, I had everything I needed. 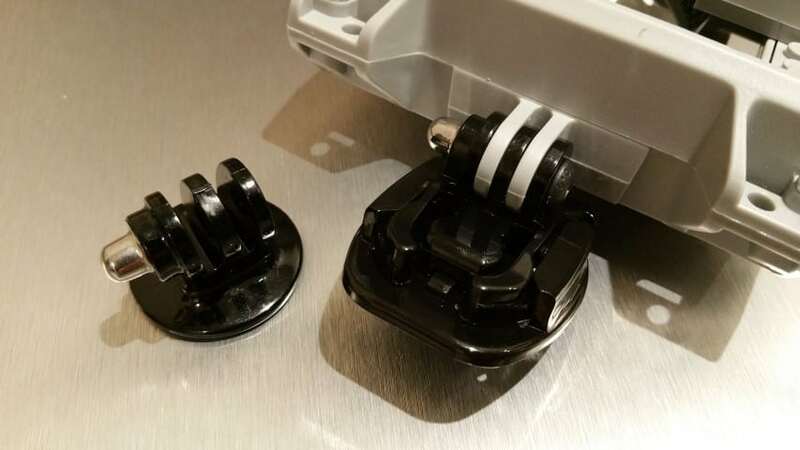 I used MotionPie to turn the Pi & camera module into an IP camera (Not the first time I’ve used MotionPie – see more about that here) and simply fitted it into the case, cleaned the surface where it would be standing, and stuck it to my wardrobe. There are lots of different projects and customisations you could make – head over to Smarticase’s Instagram for some inspiration. Yes that’s a line from a Jay Z track – and I share his affinity for dark shades. Considering how popular my CCTV project was, I would love to see a black version of the SmartiPi, maybe even with a smooth top plate. It would make a great CCTV/stealth style camera case, and would also look cool on a desk or as a media centre box. 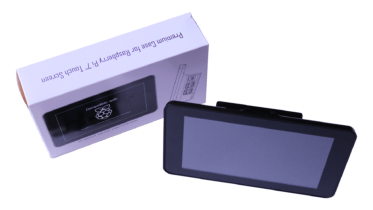 I mentioned at the beginning of this post that I’ll be using any review-type posts to give my readers a chance to nab some free Pi stuff – and this post is no exception. I have two brand-new SmartiPi case + GoPro mount kits to give away, which are worth $31.98 each in dead president money – that’s about £20 in good ol’ sterling. This brand new sealed SmartiPi could be yours! On Wednesday 1st July (late evening UK time) I’ll extract a list of my subscribers and use a random number generator to select the winners – so get subscribed! Our winners for this SmartiPi competition are Neil Anderson and Paulo Orrock! Email is on its way guys. For everyone else, stay tuned for more giveaways soon! 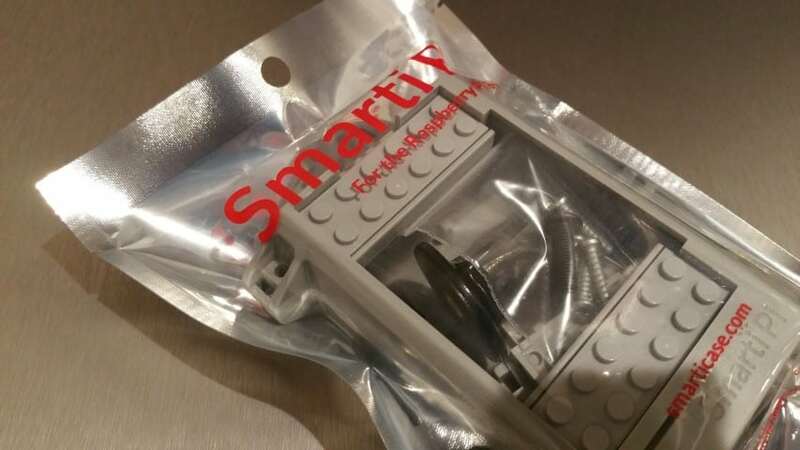 Lastly – if you like the SmartiPi, Tom has a similar Kickstarter out for the SmartiHat – a Lego compatible HAT mount. 1 Comment on "Win a SmartiPi Case From Smarticase"
This Would be a Great Project For My Kids and I to Build Together!